Big Wood Timber Frames Incorporated was started in 1991, by Dave Le Page and Mike Nicklaus after building a number of homes for a national franchise in the late 1980’s.We purchased the “George E. Hess 1883” building located at 447 E. 7th Street in historic lower town Saint Paul which served as our first timber frame work shop and now houses our home office, showroom and design studio. 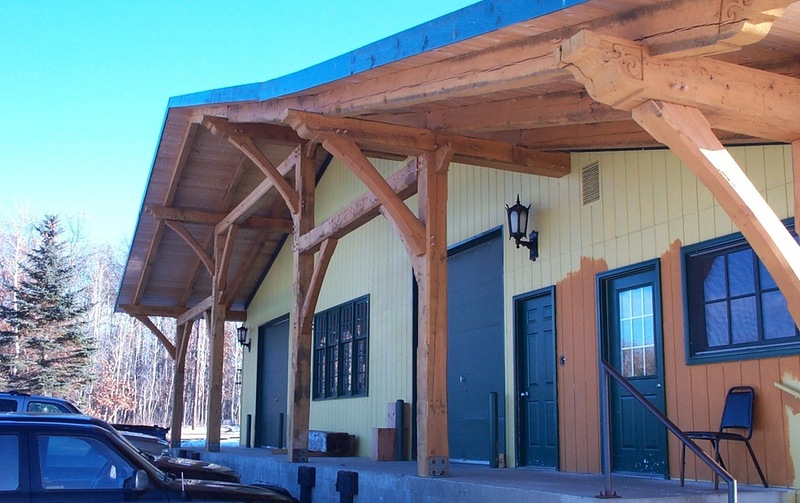 In 1997, we purchased the old Blue Ox Co-op, a feed mill and fertilizer facility in Brainerd, Minnesota, where we store and process our timbers and lumber. We quickly outgrew our 15,000 square foot shop space so in 2007, we disassembled the Minneapolis Racquet Club, a heavy timber frame building, and re-created it for use as our new 10,000 square foot shop space. In 2014, we purchased a 5 acre piece of property near our Brainerd shop where we erected a 20,000 square foot storage facility. Once again we used re-purposed materials… using a tin roof from an old lumber yard, lumber was re-sawn from old laminated beams which were reclaimed from a nearby water park for the structure and the exterior is sheathed in rusty tin siding from numerous farm buildings. 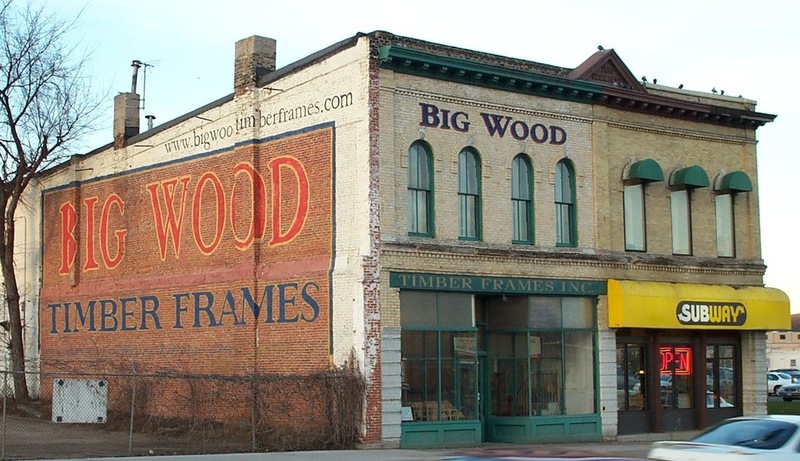 Big Wood employs about 25 carpenters, shop labor, and office personnel. A number of our key people have been with us for 20 years.